The Modular Design of this tool gives you 7 tools in 1. This Multi Purpose Tool is made from Aircraft Quality Aluminum and Hard Anodized for superior wear resistance. 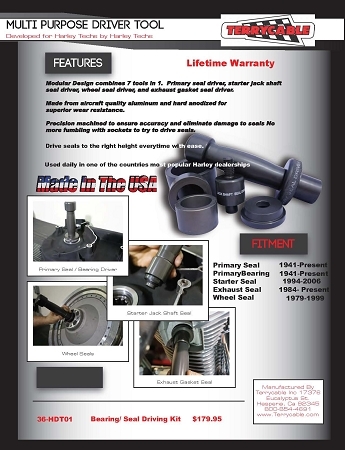 It is precision machined to ensure accuracy and eliminate damage to seals. No more fumbling with sockets to drive seals.,br> Drive seals to the right height, with ease, EVERYTIME!